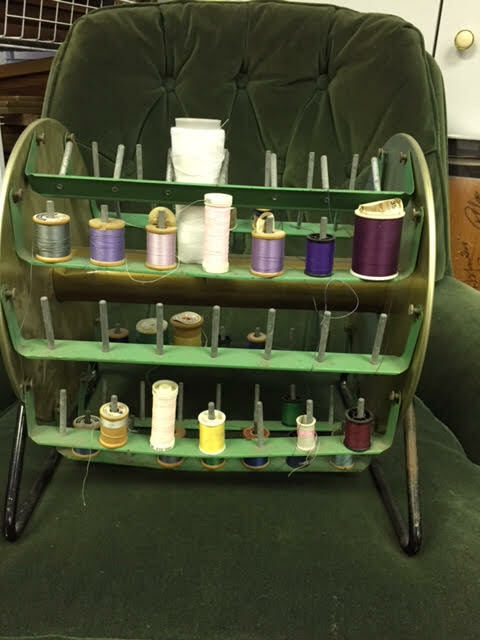 This Ferris Wheel style thread carousel is super cool. 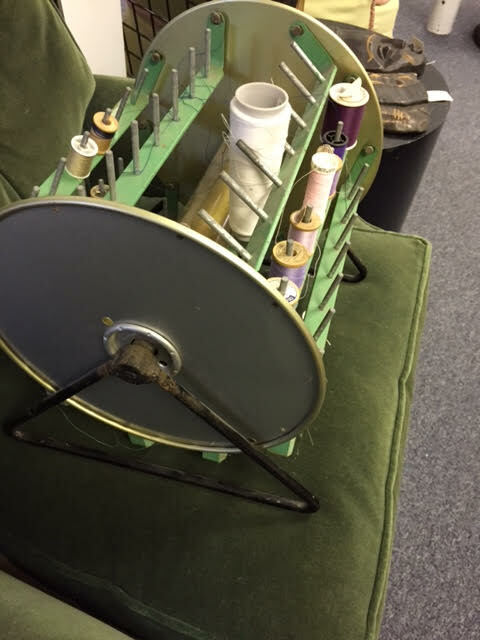 We’d never seen one like this before, and when researching it, only found one other that’s been sold in the past 10 years. 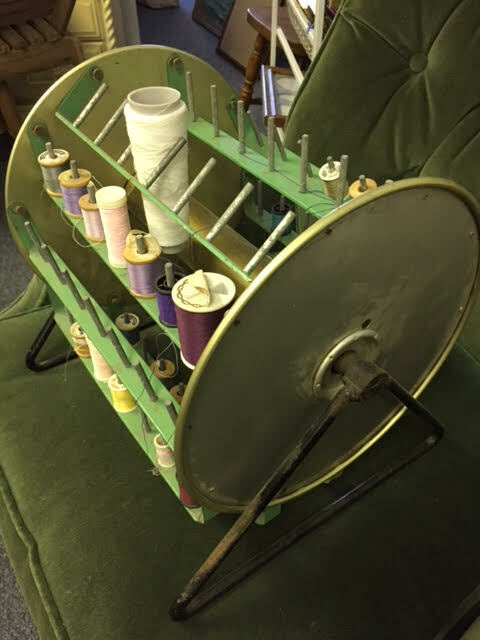 The carousel holds 70 spools of thread (those seen in the photos are included) situated on 10 racks which revolve in the stand, remaining upright as they turn. 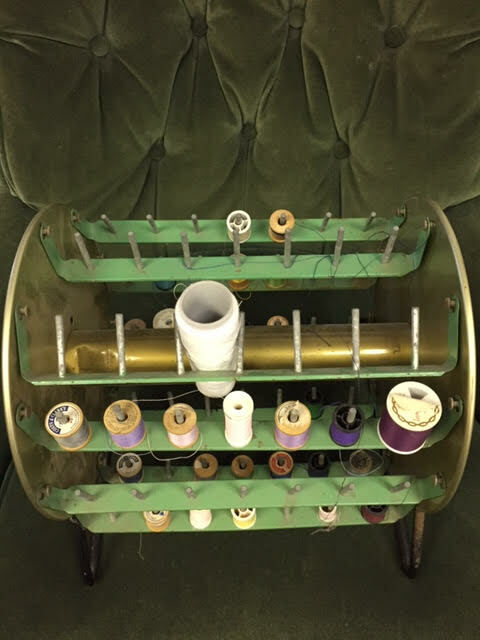 The best we can figure is this is from the 1950s. It’s all metal with no plastic pieces. 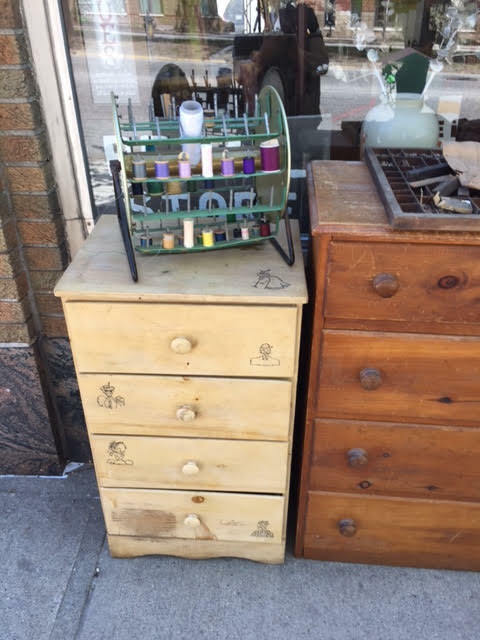 Condition: Structurally it’s in great shape although there is some minor rust on the legs. Price: Just $25.00 at Heritage Collectibles. Plus the standard 5.5% sales tax, of course! 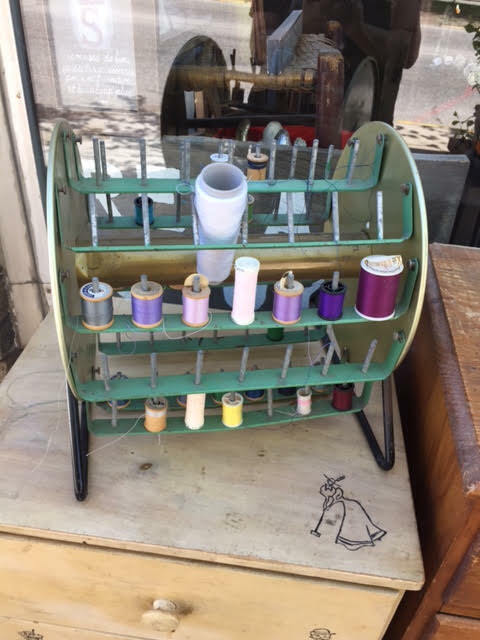 This entry was posted in Craft Supplies and tagged ferris wheel carousel, sewing carousel, spool carousel, spool organizer, thread carousel, thread organizer. Bookmark the permalink.